Ms. Juliana Swai joined Akiba Commercial Bank in April 1997 and is one of the longest serving employee and a member of Akiba Senior Management team. 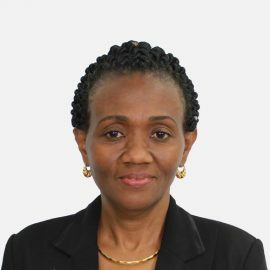 Ms. Juliana has held numerous positions in different areas in the Bank such as Bank officer, ICT officer, Supervisor branch operations and Branch manager in different branches before her appointment as a General Manager Operations. Her accumulated experience, long stay and skills gathered makes her potential resource for the Bank. She holds a BSc. in Computer and MBA in Finance both with from the University of Dar es Salaam.